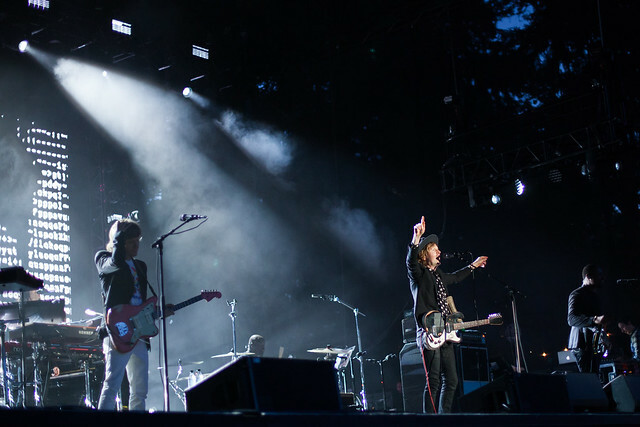 As a cooling dusk fell over Marymoor Park in Redmond, WA, Beck strolled onto the stage with ease, opening the evening with the 1996 hit "Devil's Haircut" under an auburn-lit stage. Every audience member in the center seating area began rising to their feet after his arrival. 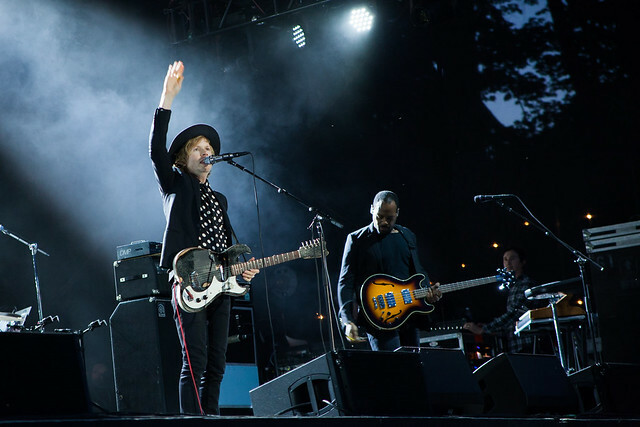 Fans of all ages started beaming to one another in excitement and clapping along to Beck’s well-known alternative pop tunes, while Beck worked both sides of the stage by running back and forth, pointing to the crowd and occasionally whip cracking to his own melodies. About midway through the main set, he told the audience it was time to “slow it down,” and reached for his acoustic guitar. Playing the opening notes to “Lost Cause,” multiple people audibly gasped and started swaying near the front sides of the stage. 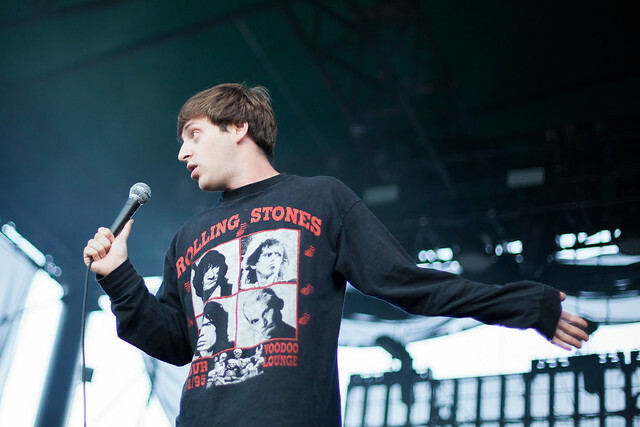 “This is my absolute favorite song,” a man was proclaiming to his friend near stage right. The intimacy of this part of the set allowed Beck to open himself up a bit to the audience as well. 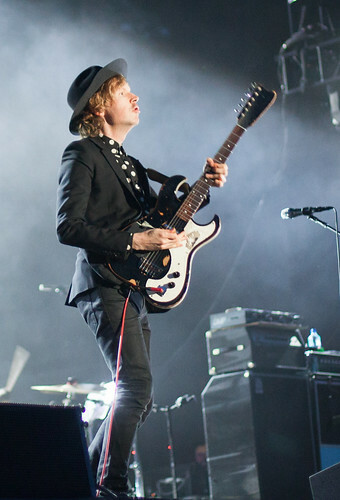 The 47 year-old icon has his own personal ties to Seattle and the surrounding areas -- he speaks fondly of the city as his father grew up nearby, meaning Beck grew up visiting the area, and Beck also reminisced about Seattle particularly being an original leader in airplays of his career-launching track "Loser". 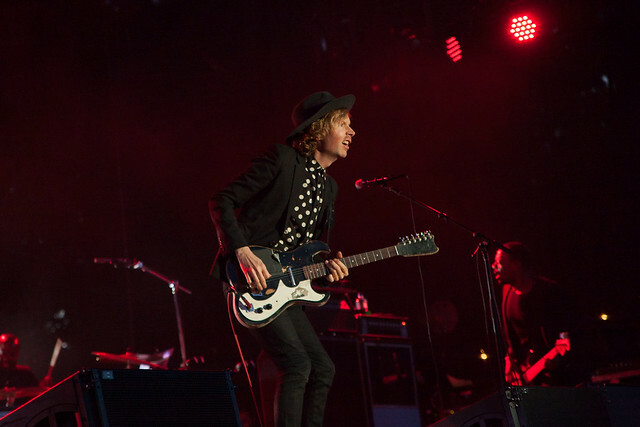 Though monochromatic in appearance at Marymoor, with his black hat, black suit, and black and white polka-dotted shirt, Beck will release his thirteenth full-length album soon, titled Colors, on October 13th. 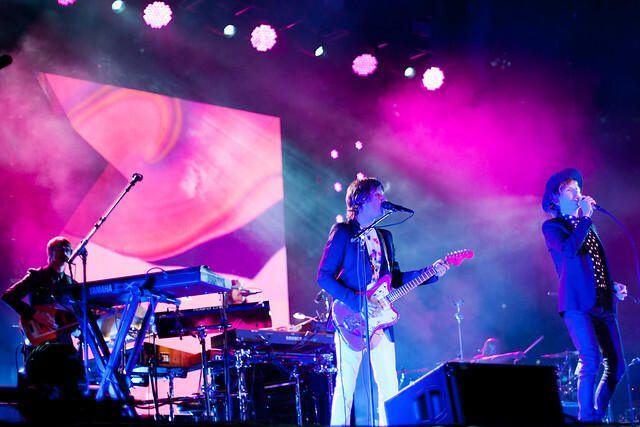 Although a colorful look wasn’t something Beck was sporting himself, the visuals playing throughout the night aesthetically matched the tone of each song. When we got to “Dreams,” and specifically “Wow,” vivid typography and radiant chunky graphics filled the backdrop screen in line with the tempo and Beck’s talk/rapping lyrics. Both songs have been out for some time to enjoy, but as they are literally central on Colors’ track listing, hopefully, it means the rest of the album will complement their intriguing themes. Taking the graphics from his live show and album art along with the upbeat singles as an indication, we know Colors is going to be one amusing listen. 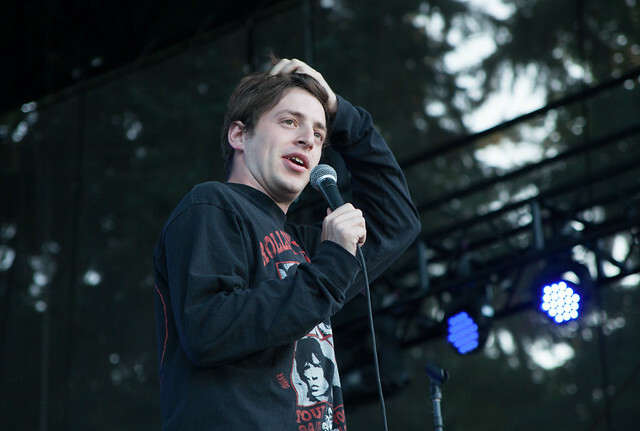 Boston-raised comedian Alex Edelman opened the evening while the beautiful rays of light were still shining through the surrounding trees of Marymoor Park. 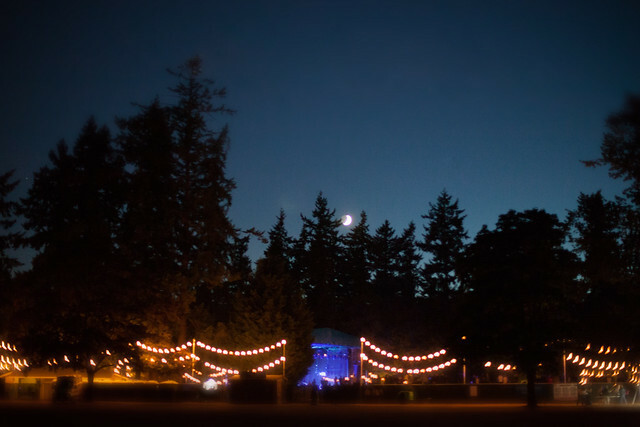 Booze was flowing, free spaces on the grass were filling, and laughter was ringing. Edelman, looking miniature on the massive and empty stage, brought a very humble 30 minutes of story-telling to our welcome ears. His offerings were easily digestible. Nearly every joke Edelman told was in reference to his direct experiences with his orthodox Jewish family, and their reactions to his misdoings. 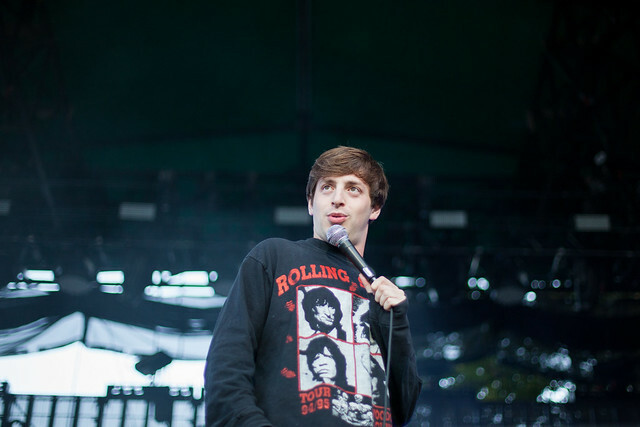 He also mentioned that his twin brother, AJ, at some point decided to (unlike Alex Edelman) become a body builder. When people ask Edelman about his twin, he’s usually asked if they are identical. Edelman responds, “We used to be.” A quick search engine image result can confirm the humor of this personalized joke. Stas THEE Boss lives up to her name. When she's on the stage, she's in total control. It'd been awhile since I'd seen the former THEESatisfaction MC hop on the mic, but seeing her DJ around town (and on KEXP's Street Sounds) has continued to prove that she has impeccable taste and style.